ZAP Solutions specializes in producing Web-based software, CMS implementations, databases, social-media applications, and websites. We provide technology consulting expertise across a variety of development platforms and languages. We were founded in 1997, we’re privately funded, and we’re growing quickly. We need energetic people to help us continue to evolve, innovate and keep our growth trajectory. ZAP team members are self-starting, self-motivated, initiative-taking, make-it-happen kind of people. We’re a small company, so we need enthusiastic individuals who can figure things out on their own, know when to ask for help, and can drive things forward quickly and efficiently. 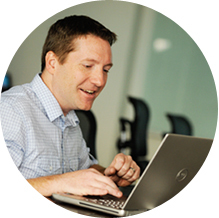 ZAP team members are good at what they do because they are passionate about technology. 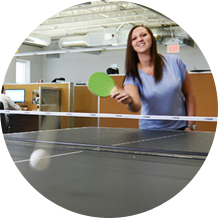 We want to work with people who have a friendly, positive attitude and the ability to play well with others. We're nice people. A lot of what we do is based on building relationships, not networks. Our relationships with our clients, our agency partners, and most importantly, with each other are critically important to our business. Our work as individuals excels when we are collaborating as a team. We’re looking for folks who are as passionate about what they do for work and for fun. You don’t have to be a world-class athlete or rocket scientist to work at ZAP Solutions, but you should do what you love and love what you do. At ZAP Solutions, we’re always looking for smart people to join our team. If you think one of the openings below fits you, we would love to meet you. Provide programmatic and technical support for the AMP Admissions Management + Decision Support software solution and supporting products by managing client inquiries, troubleshooting performance issues and ensuring adherence to ZAP Solutions/Client policies and procedures. This position will be dedicated to overseeing our current client roster and making sure everything is running smoothly and efficiently both internally within our analyst team as well as externally with clients. They will also be responsible for client escalation issues, prioritizing schedules, mitigating internal issues, and negotiating with clients, etc. As a PHP/Open Source Web Developer at ZAP Solutions, you are responsible for working in a team-based collaborative environment. Developers will create interactive Web based applications using Industry best practices to deliver high value and quality to ZAP’s corporate and agency partner clients. As a mobile developer at ZAP Solutions, this will be an incredible opportunity to steer our mobile development efforts and take on several new start up projects. The mobile developer position will be required to design, develop, test, document, deploy, and support mobile apps on both platforms (iOS and Android). The administrative assistant/ office manager position will provide support for the office and all staff by implementing administrative systems, procedures, policies, and monitoring administrative projects. The day-to-day responsibilities for this position will include a variety of tasks ranging from marketing to administrative to account management. Oversee the direction and growth of ZAP’s overall business planning, customer service delivery/operations, marketing, new business development, and sales and opportunity management. Don't see anything that's a fit? Don't be discouraged! If you think that ZAP Solutions would be a perfect fit for you and you are a passionate worker with a flair for technology, then we would be happy to review your credentials.